The Seletti Inception dish rack or desk organizer looks cool when empty and when it is in use. 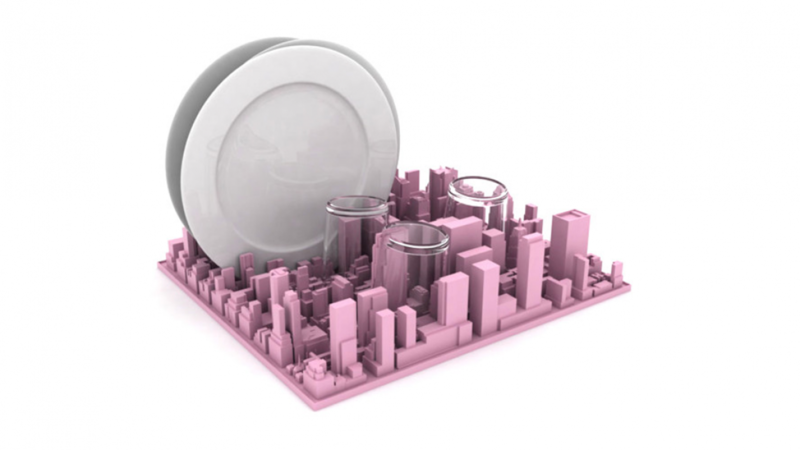 The design is a scaled model of the Manhattan skyline. You will love it because it is sure to add a modern touch to any kitchen. This is an especially cool choice if you live in a busy city apartment. Because it is a scale model of Manhattan is is sure to add to the appeal of any Manhattan home. If you love interesting home decor or office items then this piece is sure to be a great addition to your collection. The rack measures 16.6 inches by 15.1 inches by 4.6 inches. It is big enough to hold your dishes while they dry and you can rinse it clean with cold water when needed. This is not just cool for the kitchen because it can also be used in the office. In the office you can use it to hold documents, folders or books so that you can find them easily. If you love decor items that are cool and different then this is for you. 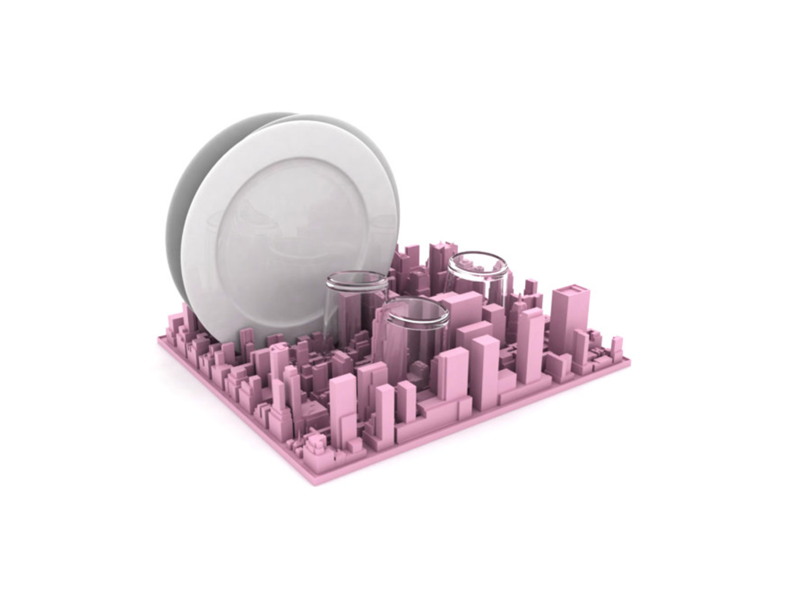 It is not like any other dish rack that you will see and is sure to stand out in your kitchen. If you like this cool dish rack you may also like to check out the following.